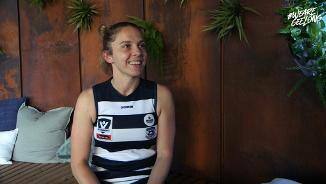 Get to know our AFLW players as Mel Hickey hits them with some rapid fire questions, presented by Ford. 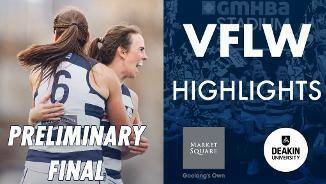 Check out the highlights from the biggest game of the season, the Cats VFLW Grand Final thanks to Deakin University and Market Square Shopping Centre. 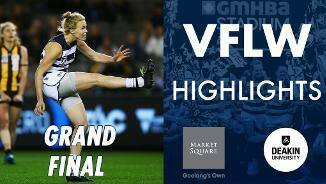 Check out the highlights from the Cats Preliminary Final win over Collingwood thanks to Deakin University and Market Square Shopping Centre. 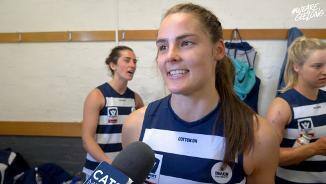 Mia-Rae Clifford speaks from the rooms after the prelim final victory. 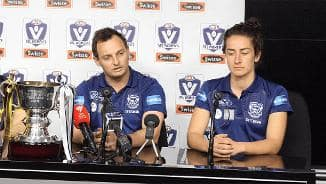 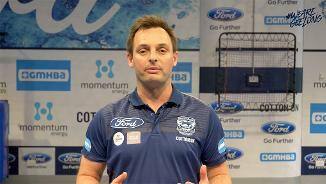 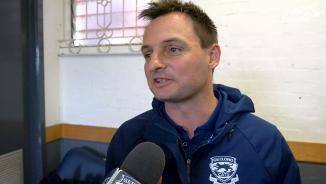 VFLW Coach Paul Hood speaks from the room after the prelim final win over Collingwood. 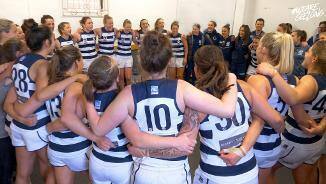 Our FVL Women belt out the team song after their prelim final win over Collingwood. 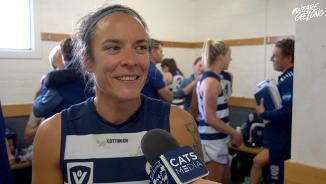 The Cats hit the track in preparation for their preliminary final clash against Collingwood this Sunday.